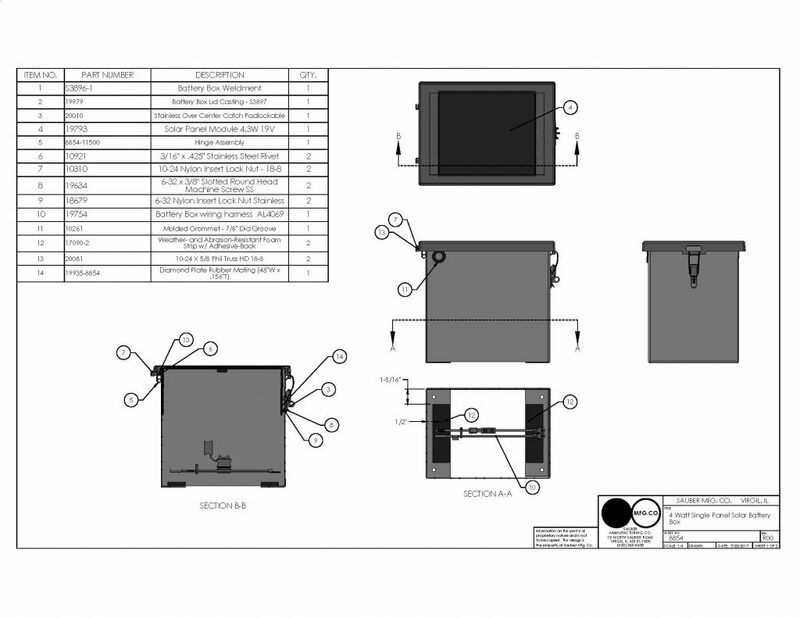 Solar Battery Box - Sauber Mfg. Co. 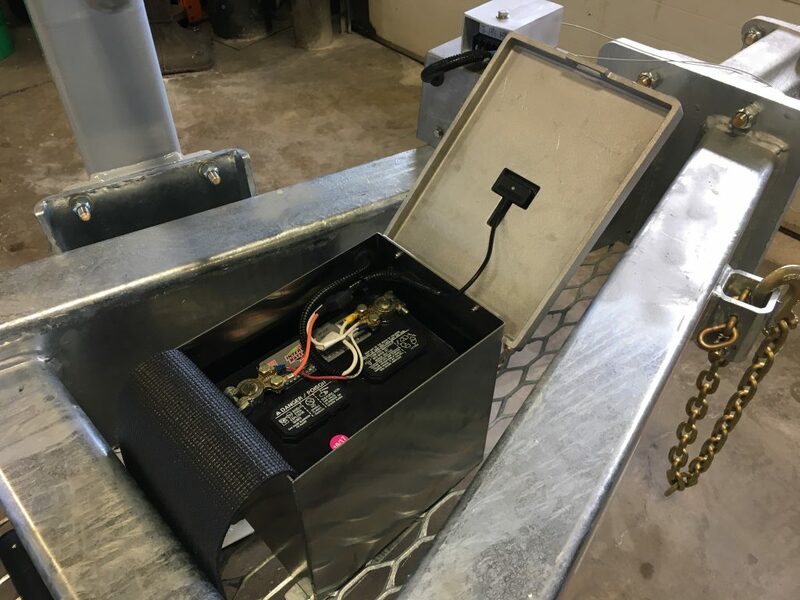 The breakaway and battery modules are often the most neglected element of trailer electrical systems. Because many breakaway devices are never called into use, it’s easy to understand why it might be overlooked. Section 393.43 of the Federal Code states that a breakaway system “. . . shall be provided to maintain application of the brakes on the trailer in such case for at least 15 minutes.” Many “lantern” style and small battery systems will clearly not meet this Federal requirement. Even larger batteries may be caught low on power if they are not checked at regular intervals. With shrinking maintenance resources available, breakaway batteries may not receive the attention they need. Given the exposure involved, it just makes good business sense to specify the best components available. 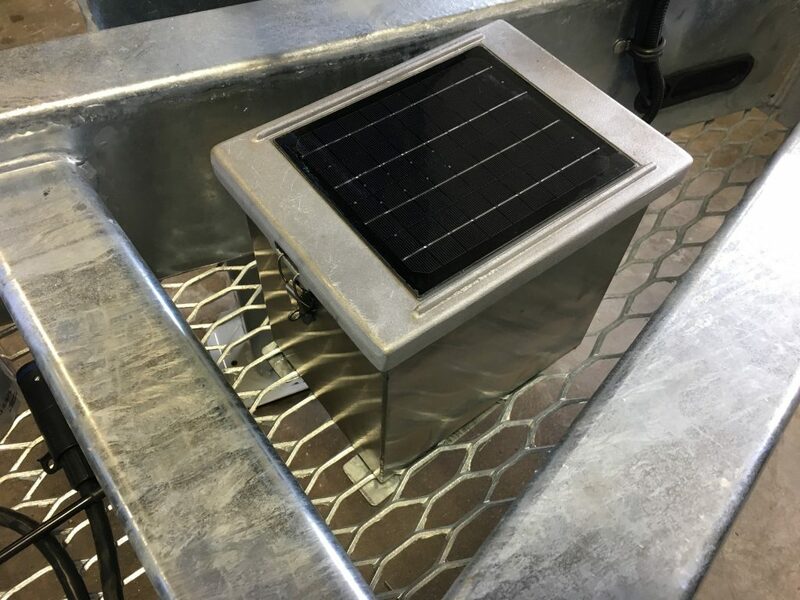 We include our Model 8854 Solar System as standard equipment on all trailers we manufacture that utilize electric brakes or are equipped with an electric start Hydraulic Power Source. We have made this improvement to reduce customer maintenance costs, increase “up time” in field operations and provide the highest assurance to your users and community that the system will work as designed in the event the of a breakaway. High density solar panels are encased in polyurethane and recessed in an Almag cover. They provide the highest power/space ratio available. The self-cleaning design can support an operator’s weight while preventing contact with the panels. A 450 C.C.A. 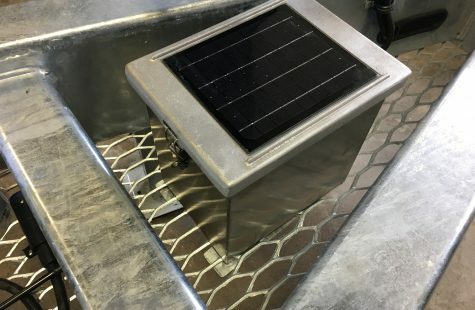 wet cell battery is included on all Sauber trailers. This provides the power necessary to exceed Federal requirements.